As kids, our family used to make the HUGE trek from country Victoria up to Queensland every few years for a two week holiday on the Gold Coast. My sister and I would start counting down the days until we left from the very moment we found out that we were going – yep some countdowns started over a year before we were leaving! While we loved spending time at the beach (regardless of what the weather was like) one of our favourite parts of our holiday was spending a day at Dreamworld, where we would line up as many times as our parents allowed us to go on our favourite rides such as Thunder River Rapids (or the Barrell Ride as we called it) and the Log Ride. Fast forward almost 25 years later (yikes!) and we are fortunate enough to live just a short drive (around 25 minutes) away from Dreamworld and are annual pass holders. We’ve made more visits to Dreamworld (and White Water World) over the past couple of years than I care to admit, and have picked up a few handy tips along the way, so today I’m sharing six of my top tips and suggestions as a guide to visiting Dreamworld with toddlers. You will often find that both Dreamworld and White White World extend their opening hours during school holidays and the warmer months, so it pays to check the website the day before you plan to visit as you will be amazed at how many rides/attractions (especially at White Water World) you can visit before the influx of people arrive at the regular opening time. Get ahead of the crowds by starting your day at the back of the park and visit attractions such as the Log Ride (queues are usually quite short, even during peak times), Tiger Island and Corroborree – where the kids will have a bit more space (and peace!) to feed the kangaroos before an influx of visitors arrive, and also before their tummies are full from all the food! Why walk around with your toddlers (or push a pram) when you can use the Dreamworld train to get around? Not only will the kids have fun while riding the train, you will all appreciate taking a little breather while you travel to your next location. 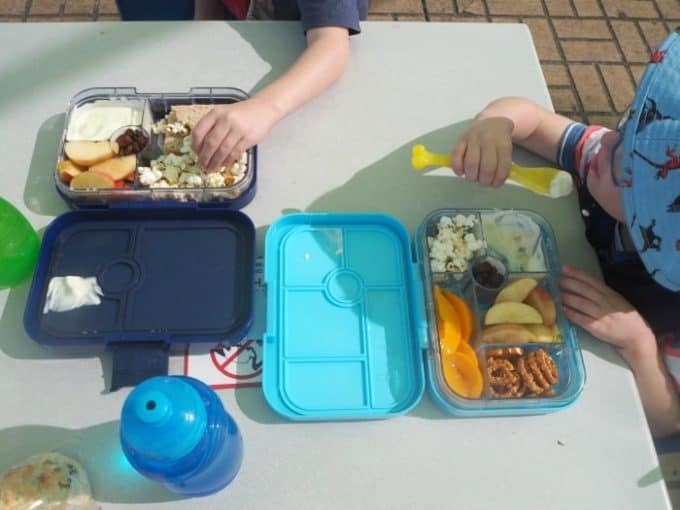 Yes it seems obvious to take along your own food, but as well as saving money, having a favourite snacks in your bag is also a great way to bribe the kids to keep walking/get off a ride or to just behave – let’s face it, it works! Even if you are not planning to visit White Water World or take the kids on any water rides, it pays to take a change of clothes along with you as there are also a few water play areas in the Dreamworks Experience area. When you’ve got a limited amount of time it’s only natural to try and cram as much into your day as possible. The problem with this however, is not only will you stress yourself out, but the kids too and then no one will have a good time. I suggest trying to pick four of five ‘must do’ attractions/rides and plan your day around these. Anything else is then a bonus. Alternatively it may be worth looking into purchasing a multi day pass so that you can come back and visit the park another day to see the things you missed the first time around. Starting our day with a train ride to the last station where we can go on the Log Ride before it gets too busy and then make our way around to Corroborree while we visit the animals along the way. Spend time in the MAD Jungle Jam throwing and shooting balls – luckily Mum can sit outside and watch! 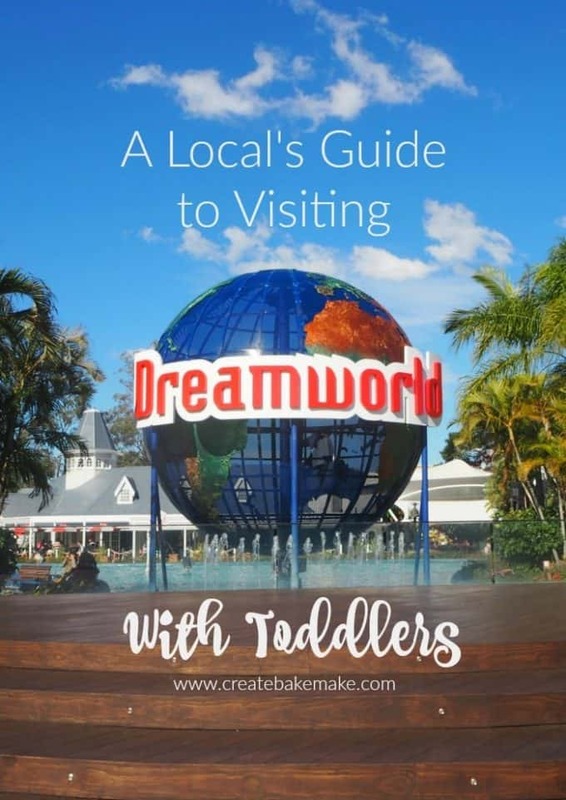 So there you have it, my tips and a few of our favourite things to do at Dreamworld when visiting with toddlers. I love Dreamworld. I love it more now that my kids can go on ALL the rides with me. Because I am a ride demon! Oh I can’t wait until they are big enough to go on the rides with me! I haven’t taken my girls to Dreamworld or Movie World ever. I need to change that and buy some annual passes. Our annual pass to Dreamworld just ended and we haven’t yet decided on where this years will be to. If we get an annual at all. Being local makes it worth while. Love Dreamworld though and it is so good for little kids. It is great for the little kids, especially as there is so much they can do besides going on rides. We are pretty spoilt having it so close which makes the annual passes really worthwhile, we often go down there for just a couple of hours to wear the boys out! Thanks Denyse, it cam be a little overwhelming trying to work out where to start! These are great tips and can be applied to theme parks of all kinds. We just got back from Disneyland where there are special “magic hours” where hotel guests can go into the park an hour before opening, and as you say, it’s amazing how many rides you can do before the park usually opens. I bet no one has snacks as delicious as you, though! I’ve been so jealous looking at your Disneyland photos, I’ve been there twice and can’t wait to go back with the boys one day! Thank you, snacks are such a good bribery tool for my boys, I’d be lost without them!